I never really ate bell peppers in the past, but lately I’ve been getting into them. And the nice thing is there are different options depending on how much fructose you can handle. If your tolerance is low (or you don’t know how much you can eat yet) you can use the green peppers. Red has the highest amount of fructose. Yellow and orange are higher than green but I haven’t been able to find any proof they are as high as red. They certainly don’t taste as sweet. 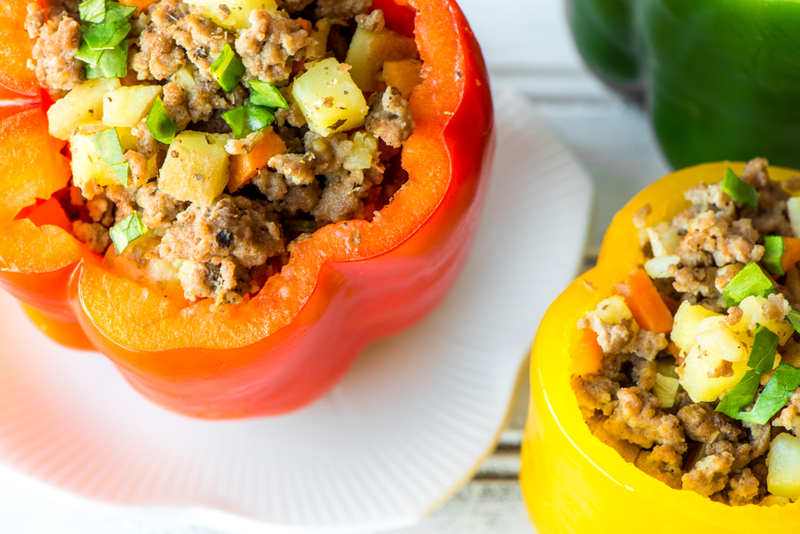 You can use whatever ground meat you want for these, but I would recommend lamb or beef. Chop sweet potato and carrot into small cubes and set aside. Cook meat in a large skillet over medium-high heat and add seasonings, including salt and pepper. Mix until well until incorporated. During this time you can cut the tops off the peppers and clear out the insides. Don’t cut the bottom!!! Chop the spinach thinly and add in after vegetables are done and cook for another minute. 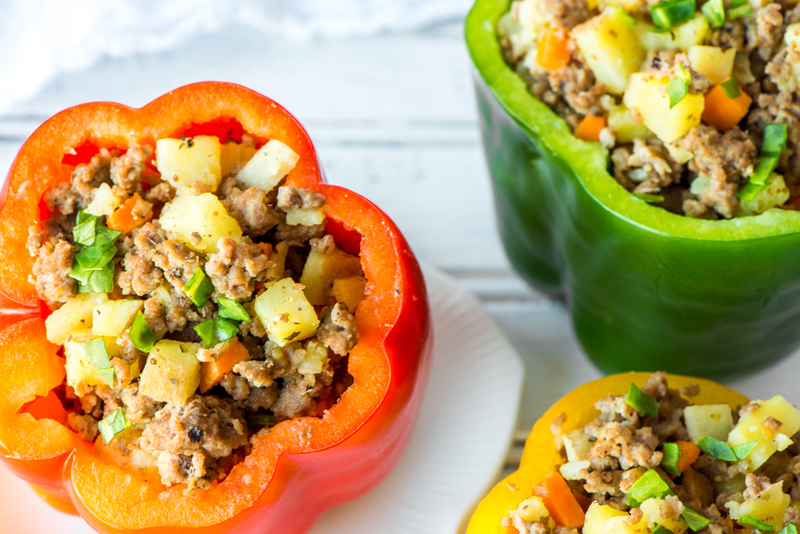 Place peppers in a baking dish and fill each with the meat mixture. 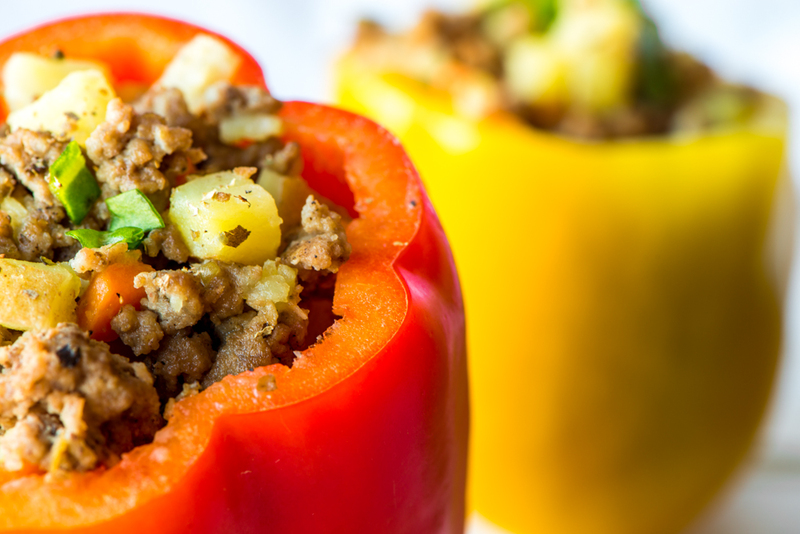 This entry was posted in Recipes and tagged bell peppers, fructose malabsorption, lamb, low-FODMAP, pal by nosugarlessgum. Bookmark the permalink.